Brooklyn Stitchery We are hosting an event with Get Women Cycling! We are hosting an event with Get Women Cycling! Join us for a special event with Get Women Cycling in December! Tis the season! Shorter days means longer nights. Everyone knows it is hard to see people riding bikes or even walking at night. As part of our street safety initiative Get Women Cycling is partnering with Brooklyn Stitchery to give you a fun, do-it-yourself, option to illumination! Bring a favorite riding tee or jeans and we will supply the sewing machines, reflective material, and instruction for you! Keep it for yourself or give it to a loved one. This is a great gift for anyone who commutes at night! This event is for women, female identifying, gender noncomforming only. If you are not yet on a bike but are interested in our workshop please come anyway. 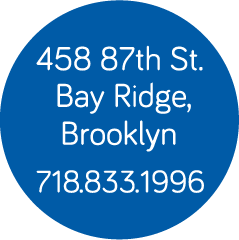 Brooklyn Stitchery is reachable by car and/or public transportation. See Get Women Cycling’s website for registration!